Sweet Briar College supporters made a payment of $3.64 million in early September, the third and final installment on a pledge of $12 million agreed upon in a settlement that keeps the women’s college open. The school’s president and board of directors announced in March that it would close by the end of August because of insurmountable financial problems. The move prompted lawsuits by alumnae, faculty and students seeking to keep the college open. The opposing sides agreed to mediation sessions that in June resulted in a deal that keeps the college operating for at least one more year. 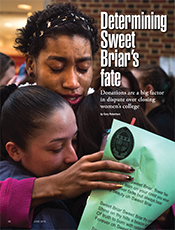 The settlement called for the appointment of a new president and board of directors plus the payment of $12 million to the school raised by Saving Sweet Briar Inc., a group of alumnae opposed to the closing. Virginia Business looked at how the use of donations played a key role in the dispute in its June issue. 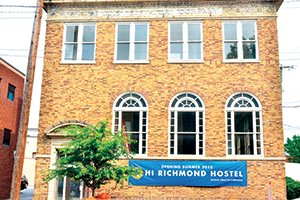 Hosteling International USA opened a low-cost lodging facility in late August in downtown Richmond. The three-story 13,000-square foot hostel is housed in a building that once served as offices for Otis Elevator. The hostel can accommodate about 55 guests. The magazine looked at plans for the hostel in its July issue.